Are you looking for the Rare Monopoly pieces for the 2018 game? 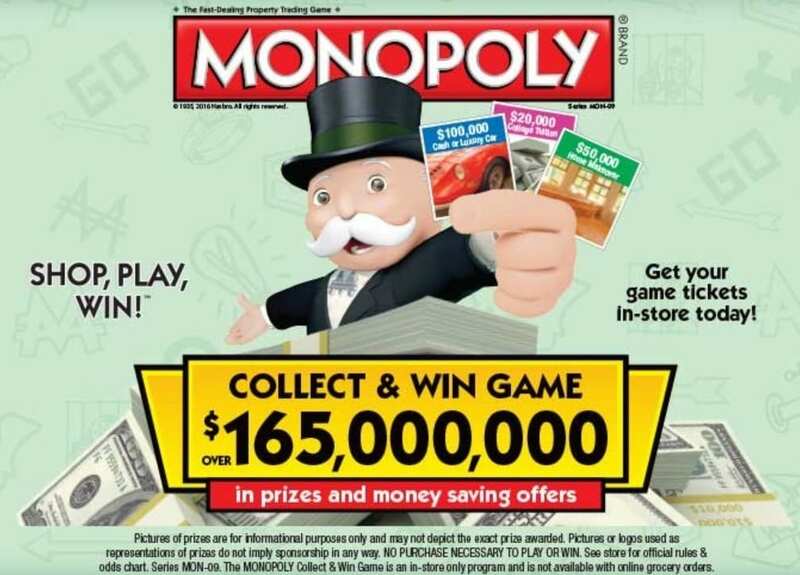 The Monopoly game is back at Shaw’s and Star Market this year (as well as Albertsons, Safeway, Jewel Osco, Acme Markets, Pavilions, Carrs, Vons, Randalls, Eagle, Pak n Save, Tom Thumb, Market Street and Amigos). 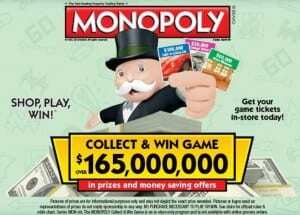 The needed pieces are all the same for all these stores, so the Monopoly game isn’t just a Northeast Super Market thing. Every time you shop at Shaw’s or Star Market, you will receive a game ticket at checkout. Look for BONUS items to receive even more game tickets from your shopping trip. It’s pretty easy to collect game tickets without going out of your way to get them. There are over ONE BILLION game tickets created, so keep that in mind when you are searching for rare pieces. Game tickets will be distributed until May 3, 2016 or when the store runs out (usually a few days beforehand in my past experiences). You will also have until May 25, 2016 to claim your prize(s). Below is a list of (suspected) rare game pieces for the Monopoly board. This information is compiled from mine and other game boards based on what pieces we still need and may not be 100% accurate, but should give you a nice idea of popular & unpopular pieces. The bolded numbers for large prizes are thought to be the more uncommon numbers and more rare than the other piece needed. Please let me know in the comments if you think there are any errors with the information above. You are welcome to leave comments about pieces but PLEASE keep in mind that this is a public website so please do not leave private information here and that strangers on the internet are not always trustworthy, so please use caution and do your due-diligence before you redeem. Also, please only leave comments if you have a very rare or semi-rare piece and need a partner. It’s very easy to find the pieces not mentioned on this post and if you do have a rare piece (yay!) that doesn’t need another rare piece (yay!) it’s better to wait out for the common piece, since they are so common. The one time I won something ($2 woohoo!) they came all on the same game piece so maybe that will happen to you.